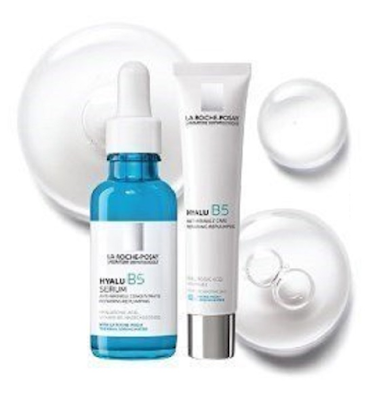 Skin specialist, LA Roche-Posay, has released a new product line, designed to correct the appearance of age wrinkles by plumping sensitive skin. The new product family joining La Roche-Posay’s permanent range is the HYALU B5 collection, which debuts with two products: HyaluronicAcid Cream and Hyaluronic Acid Serum. The HYALY B5 Care is announced as the first dermatological anti-wrinkle solution that replumps and repairs skin. 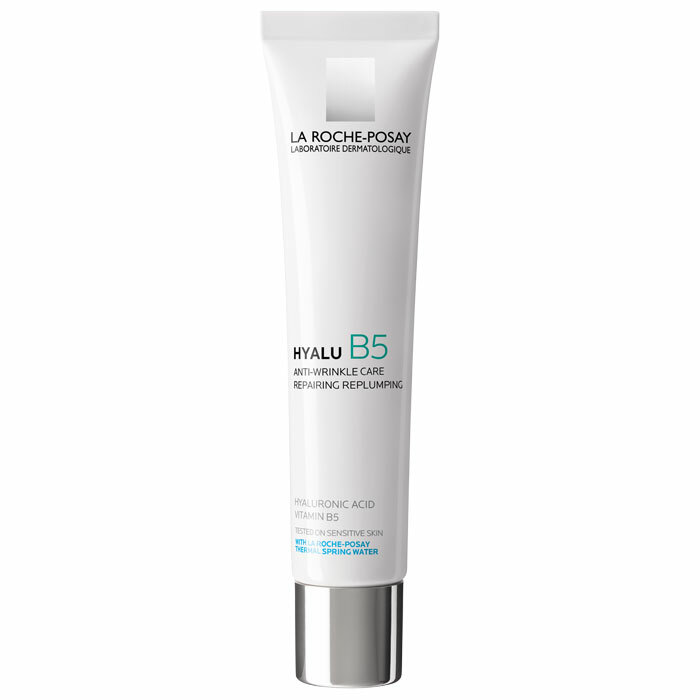 The HYALU B5 routine starts with an instantly moisturizing cream specifically formulated for dry, dehydrated skin that is showing signs of aging. 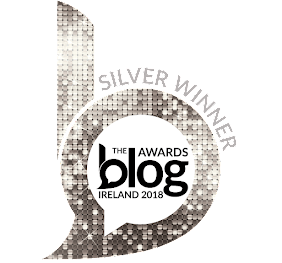 For even more intense results, the cream can be used in conjunction with the HYALU B5 Serum, which immediately recovers bounce, suppleness and a fresh complexion. 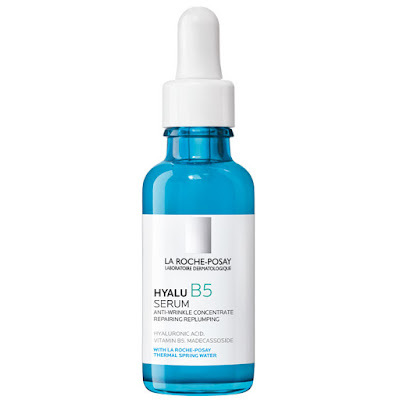 The star ingredient of the HYALU B5 collection is hyaluronic acid, a superior skin-replenishing ingredient known for its unique ability to hold up to 1,000 times its own weight in water! 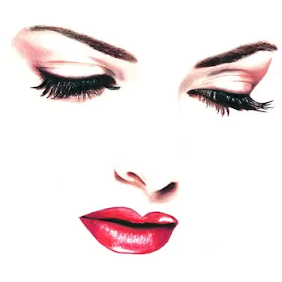 Hyaluronic acid is an ideal moisturizer for all skin types and we all know that moisture is crucial to having fresh, younger-looking, supple skin. The HYALU B5 range features two different sized molecules of hyaluronic acid – the larger ones that work on the surface to reduce the look of wrinkles and re-plump the skin; and the smaller molecules that are able to penetrate deeply into the skin to increase its volume and bounce. The new formula combines plumping hyaluronic acid with vitamin B5, a nutrient that improves the skin's inner restorative process and helps stimulate repair of damaged skin. The minimalist formula is free from parabens, colorants, and allergens, which makes it suitable even for the most sensitive skin. Improves the quality of skin tone, so the skin looks brighter, feels softer, smoother, and glowingly hydrated. The cream should be used as a moisturizer, post-cleansing, while the serum should be used pre-moisturizing at night. 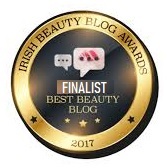 The cream is presented in a 40ml tube and the serum 30 ml bottle will be available at Boots and leading LA Roche-Posay stockiest.